Shaft - Regular flex PING TOUR 65 7-Wood graphite shaft, standard length, for golfers with average swing speeds. Condition - Excellent / Very Good. 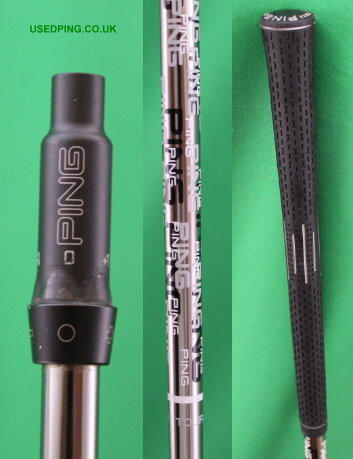 Regular flex PING TOUR 65 7-Wood graphite shaft, standard length, as used on the G30 7-Woods. SHAFT ONLY DOES NOT INCLUDE A HEAD. Shaft - Soft / Regular flex PING ALTA 65 7-Wood graphite shaft, standard length, for golfers with slower swing speeds. Condition - Excellent / Very Good. Soft / Regular flex PING ALTA 65 7-Wood graphite shaft, standard length, as used on the G30 7-Woods. SHAFT ONLY DOES NOT INCLUDE A HEAD. The PING G30 Fairway Woods are designed with a ‘hot’ face that produces a high level of ball speed without losing high launch and consistency. The G30 woods feature a Carpenter 475 steel face which is 44% stronger than the usual 17-4 stainless steel used in the previous PING woods. The face is thin and tall to increase forgiveness and distance. The G30 fairway woods feature ‘ Turbulators’ that improve aim and provide a high level of confidence in the wood. The PING G30 woods have a centre of gravity that is position throughout the model range to optimise launch and spin. The G30 fairways woods have a hosel that is adjustable to enable the loft to be adjusted in five positions and have up to one degree added or subtracted from the standard loft setting. The G30 fairway woods are finished in a non-glare matt charcoal coating with eliminates reflections. 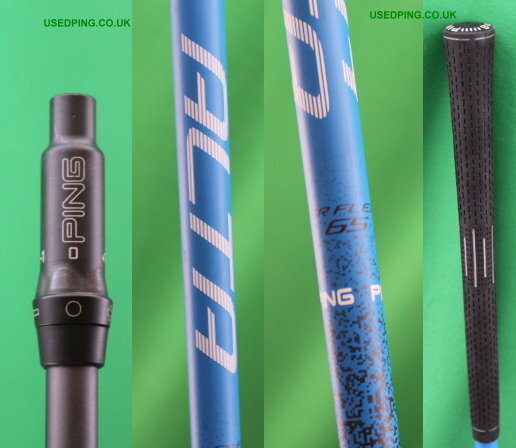 The PING G30 woods have five standard graphite shaft options. The TFC419F for high launch shots, the Tour 65 for lower launch, the Tour 80 for a penetrating trajectory, the TFC80F for slower swing speeds and the TFC59 Distance for very slow swing speeds to help golfers who find it difficult to get the ball airborne.